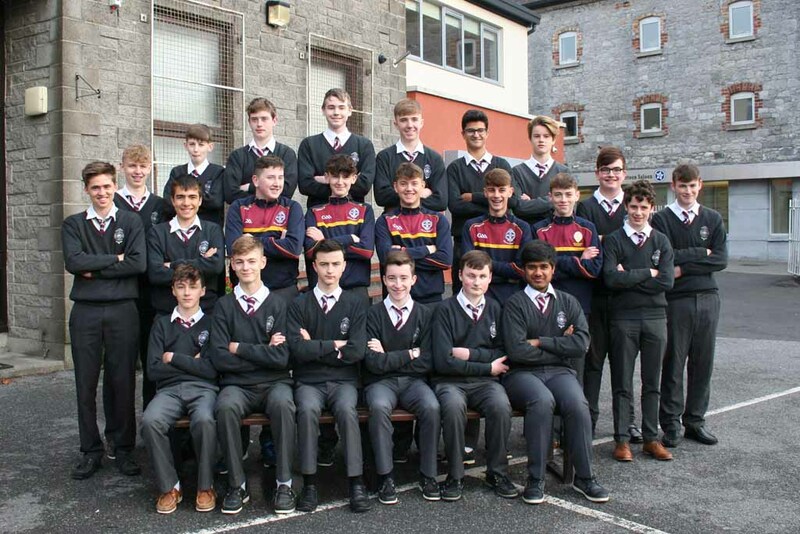 Meet the Transition Year class of 2017 - 2018. We wish them all the best. We hope they have new experiences, make new friendships and get the most from the year by putting the most into the year. 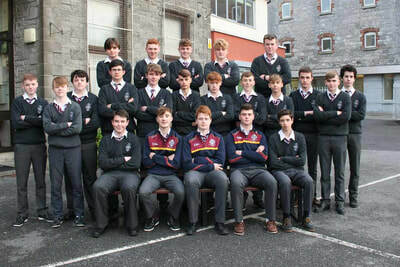 TRANSITION YEAR FORENSIC SCIENCE EXPERIENCE. The students of all TY classes were given the opportunity to release their inner Sherlock Holmes as they experience what it is like to become an Investigator of a murder that has occurred in real life. The evidence was presented in different areas of the hall and it was up to the intelligence of the boys to try solve who or what was the cause of this erroneous execution. SENIOR CHOIR PERFORMANCE IN FAMINE MEMORIAL. On the 7th of November TY students, among other students in the CBS Senior Choir took part in the opening ceremony of the famine experience Kilkenny along with Loreto and St. Kieran's. They sang 3 beautiful songs in front of an audience of 200 with notable guest such as the British Ambassador to Ireland, the Mayor, and also an Australian Representative whose ancestors came from Ireland. The boys sang really well and sounded beautiful along with the other choirs. Many thanks to our choir teacher Ms Mandy Dowling for getting the boys up to standard. 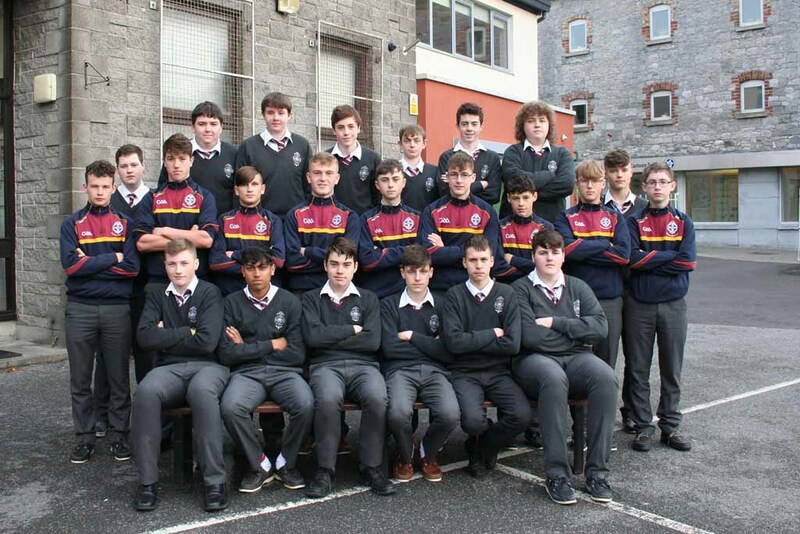 The lads were a credit to their school and parents. Transition Year History Trip- Glasnevin and Croke Park. The TY year went on an educational trip on the 24th of November 2017. They traveled to Glasnevin Cemetery and were split into different groups and were taken on a guided tour around the cemetery and shown some of the important structures and gravestones. They found that the Tower in the center of the cemetery was destroyed years prior to the shape it was in now. The tower was unsafe for the public to adventure in but it will soon be open to the public after many years. They visited the tomb of 'The Liberator' Daniel O'connell, Eamon De Valera and the iconic MIchael Collins. The tour guides gave a brief summary of their lives and why the were buried in Glasnevin. After the Cemetery tour the TY classes quickly maneuvered their way to Croke park. Again, They were split into different groups and were taken the various different parts of the Stadium. The stadium is known the be the 3rd biggest in all of Europe. The boys got to enter the dressing rooms where the hurlers would get ready for the All-Ireland Finals. They then got to run out with a recorded crowd cheering to immerse them into the mind of a famous hurler. They got to hold a trophy up in the air and were brought up to the very top of the stadium and were given an amazing view of the field and also half of Dublin. The boys were then given free time to venture around Grafton Street amongst the hundreds of people looking for Black Friday deals. After that they all rounded up to the buses and returned to Kilkenny. Kat Food- TY Enterprise Project. Huge congratulations to Conor McCarthy and Colm Dunne on the launch of their wonderful book, Kat Food. it is a compilation of healthy,easy recipes from our favorite hurling and camogie stars. 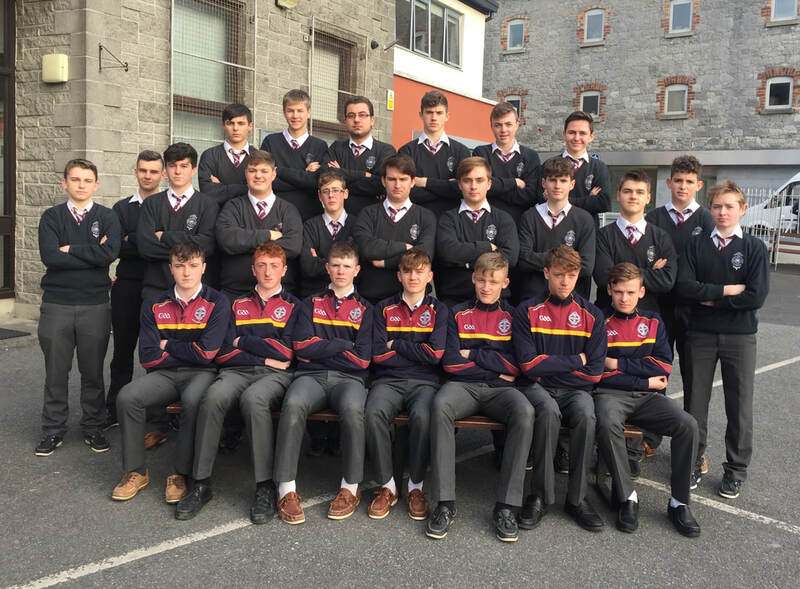 it started out as a TY Enterprise project in September,culminating in a rapturous launch by Wexford hurling manager Davy Fitzgerald on November 29th 2017 in Langtons's. 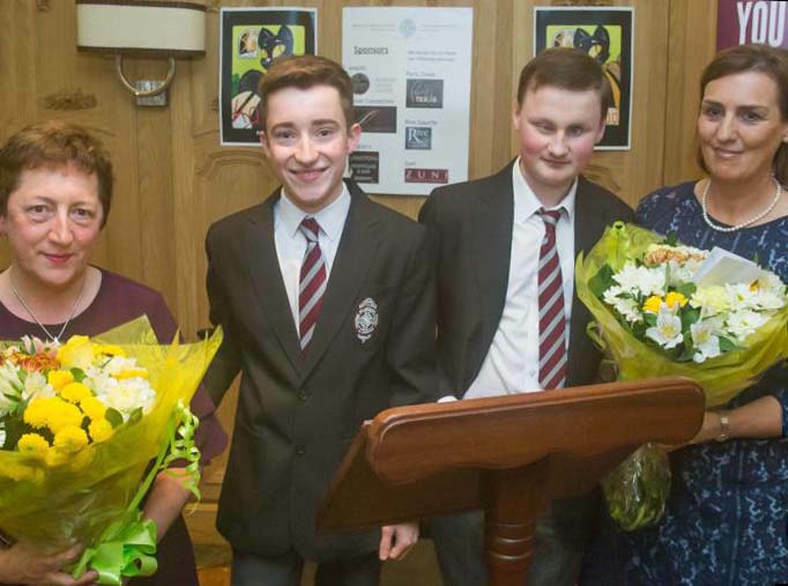 A hugely entertaining evening with musical performances by fellow TY's Matthew Moore and Kehlan O'Mahony and was enjoyed by all. We were delighted to welcome David Fitzgerald, Chairman Kilkenny County Council; Ned Quinn, Chairman of Kilkenny County Board: Mary Harrington, Kilkenny Enterprise Board; Adrian Ronan, all of the top players who attended, Langtons and their staff and all of the CBS Staff. Sincere thanks to teacher Anna Colleton, TY Coordinator Gerard Morrissey and SNA Deirdre Prendiville. On the 17th of January 2018, our TY classes went to the Watergate Theatre to watch the comedian Ger Carey. this was a special show that was school based and it covered teen related issues in a light hearted manner. he told these stories from his own perspective when he was in school. He covered topics such as homophobia, boy girl relationships, leaving certificate struggles, bullying, and other topics which we could all relate to. he was very funny, and despite a few interruptions, the show was very well done! On the 31 of January 2018 our TY year went on an visit to the University College in Dublin. The students were given a lecture about the types of courses and the entire layout of the University. They then were broken up into groups based on their preference of course types and were guided around the grounds and shown the various types of facilities that the college has to offer. At the end of the tour they were given time to purchase some lunch in a large Canteen and were able to see how the students of the University live their daily lives. From the 9th to the 13th of February 2018 the transition year students went on an educational trip to Germany. They visited various tourist destinations in both Nuremberg​ and Munich. They stayed in Nuremberg for a night and visited the locations of the Nuremberg rallies and Nuremberg trails that occurred during World War II. They then traveled to Munich where they went to the main sights such as the 'Allianz Arena​' and one of the highest points of the Alps where the wind is so strong that the snow blows upward!. They visited the BMW corporation where they got to see some of the most popular and upcoming vehicles from the company. They also got a smal view of the legendary Bayern Munich footballer Robert Lewandowski who was in an interview building separate from the main building. The most interesting part of the trip for the boys was the visit to Dachau concentration camp. The camp was constructed in 1933 by Heinrich Himmler and liberated in 1945 about 4 months after Auschwitz. A mass was held by Fr. Jim Murphy in memory of the victims of the camp and Ms.Walsh presented gifts to the Nuns who volunteer their time to bless the camp because of the amount of death that happened there. Big thanks go to all the teachers who supervised during the trip and an even bigger thanks to Mr.Curren and Ms.Walsh who were our tour guides and coordinators on the trip!